Endless beauty around every turn. 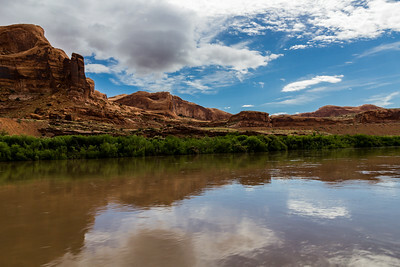 After visiting 5 different National Parks in Utah, it felt like a visit to 5 different planets. Something new and unusual around every corner. 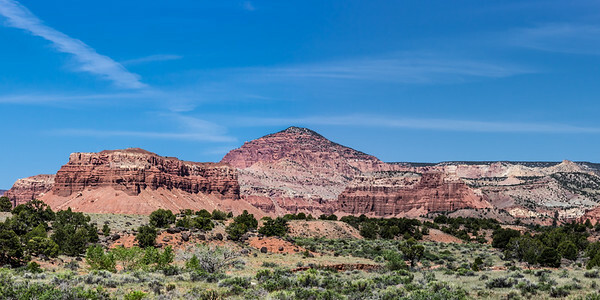 Just outside the east entrance to Zion National Park, we found the Zion Mountain Trading Post. 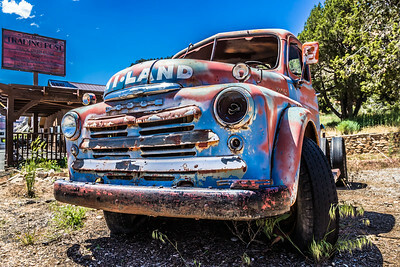 Parked out front was this incredibly cool old Dodge pick up truck. Love the paint job! 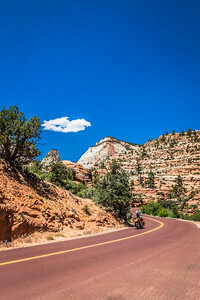 The road that leads through Zion National Park is paved with red asphalt to blend in with the surroundings. 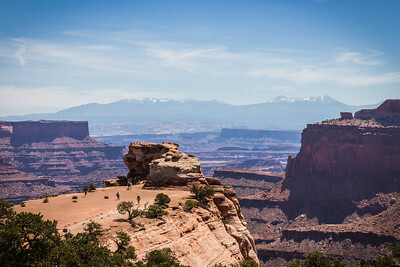 A look at a portion of Peek-a-boo Trail from the Under-the-Rim Trail that extends 23 miles from Bryce Point to Rainbow Point. 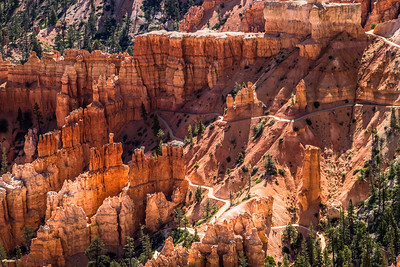 Great hiking opportunities at Bryce Canyon. 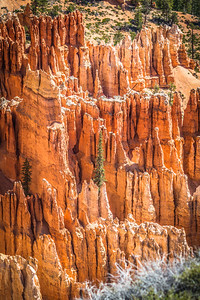 A closer look at the hiking trails that wind through the Cathedral in Bryce Canyon. 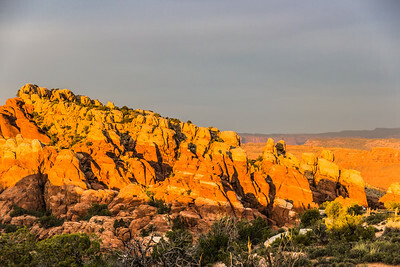 One day, we hiked from Bryce Point on the far right, to Inspiration Point on the far left. The views were magnificent! If you look closely, you can see little people standing on the overlooks at both of these points. 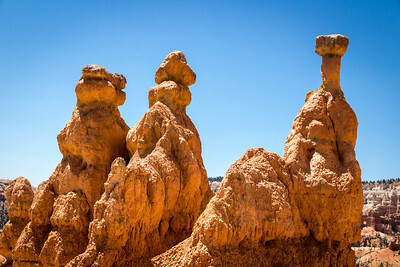 Up close and personal with the hoodoo's along the Queens Garden Trail in Bryce Canyon. 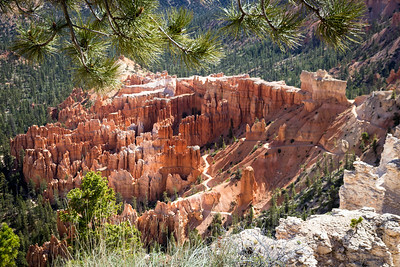 Somehow, a tall pine tree grows from the tops of these hoodoos. 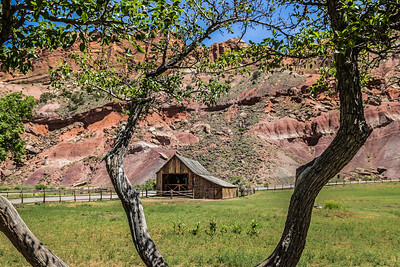 Gifford Farm at Capitol Reef National Park. 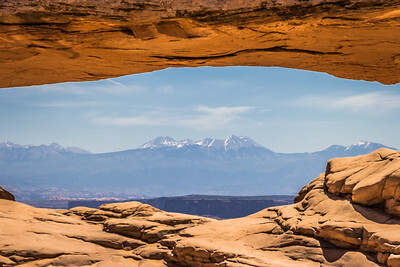 View through Mesa Arch at Canyonlands National Park. 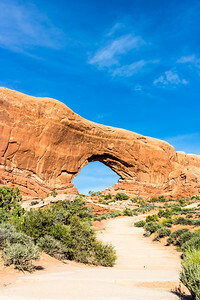 North Window Arch at Arches National Park near Moab, Utah. 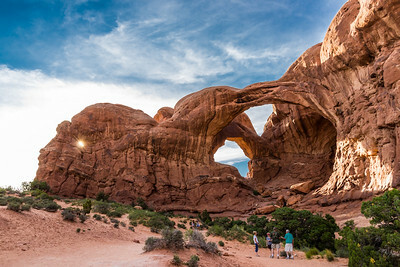 Double Arch at Arches National Park near Moab, Utah. 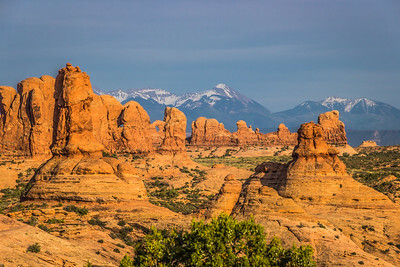 The windows section at Arches National Park in Moab, Utah. 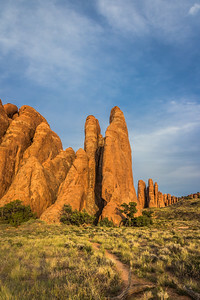 Rows of Sandstone fins can be found near Firey Furnace at Arches National Park in Moab, Utah. 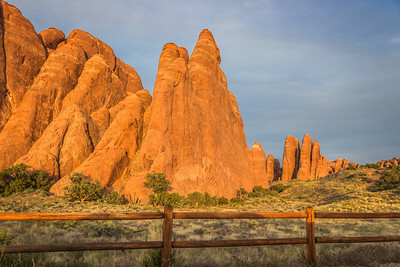 Firey Furnace can be found at Arches National Park near Moab, Utah. 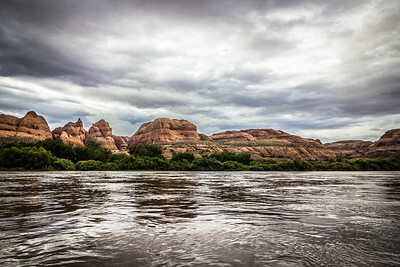 Cataract Canyon on the Colorado River near Moab, Utah. 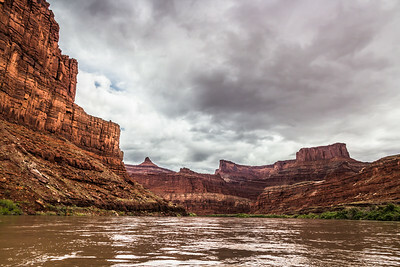 The mesa on the right is called Dead Horse Point, there is a state park up there where you can view the Colorado River and canyon below. 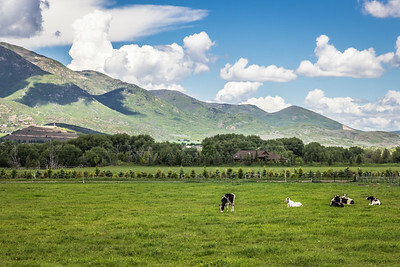 According to one legend, the point was used as a corral for wild mustangs. Cowboys rounded up these horses, herded them across the narrow neck of land and onto the point. The neck, which is only 30-yards-wide, was then fenced off with branches and brush creating a natural corral. Cowboys then chose the horses they wanted and let the branches and brush go free. One time, for some unknown reason, horses were left corralled on the waterless point where they died of thirst.